The Democratic Alliance has slammed supporters of the Economic Freedom Fighters (EFF) who vandalised a Vodacom store during a protest after an image of EFF leader Julius Malema and Floyd Shivambu shown at the Vodacom Journalist of the Year awards captioned 'abusers of democracy'. 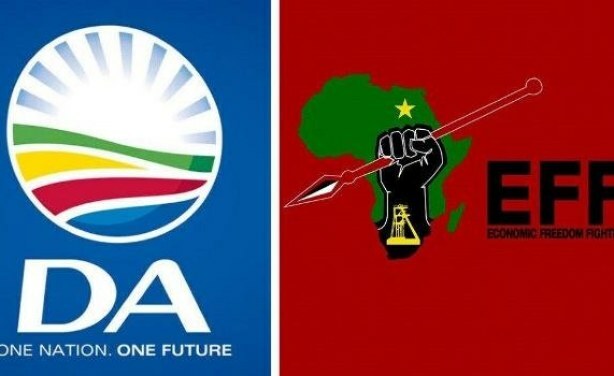 Left: Democratic Alliance logo. Right: Economic Freedom Fighters logo.